Here is a new teaser photo for the MPV version of Toyota Prius, a model teased several times. This is not the first interior shot but we see and find important information on the new Japanese model. Toyota Prius MPV is scheduled to debut in the first days of 2011 at the Detroit Auto Show. 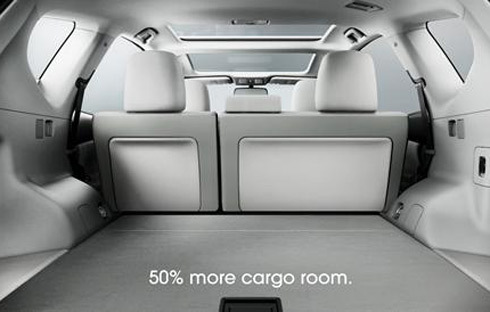 Toyota announces that the MPV version will provide a bigger load capacity by 50%, as is written on th photo. 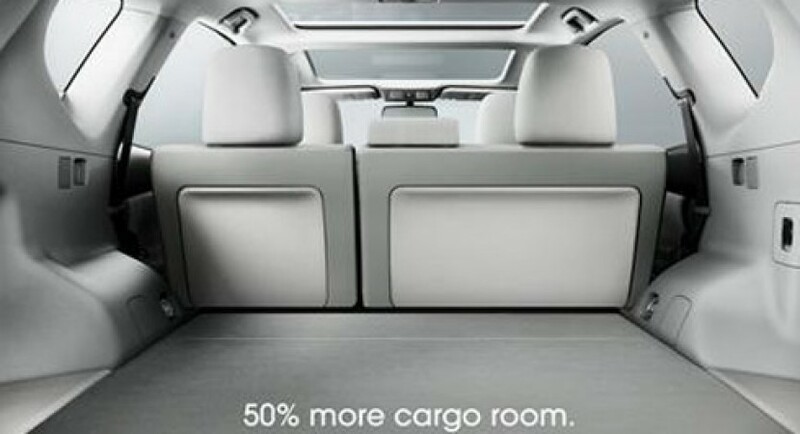 The are not any more details revealed by the Japanese manufacturer but the teaser photo reveals more than the trunk capacity, indeed. Together with the obvious explanation, we can complete the puzzle by adding the double panoramic roof, which is revealed in this teaser photo. We can expect more teasers soon as the American auto show is just around the corner. Moreover, the MPV model based on Prius might be completely revealed soon, ahead of the long-awaited auto show.